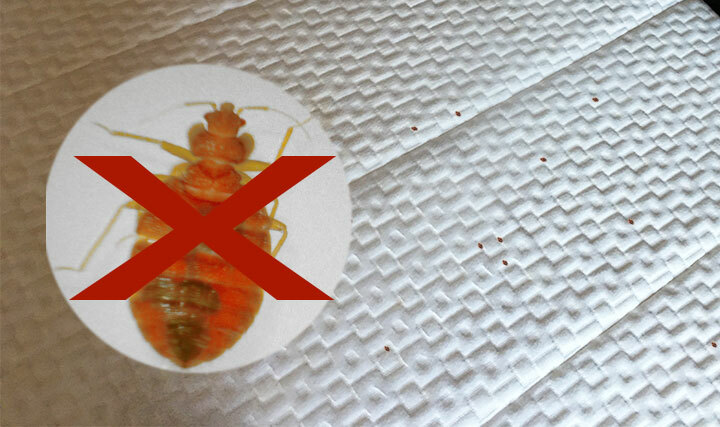 Bedbugs can be a serious problem in your home and especially your mattress. If your mattress becomes infected with bedbugs, getting rid of them can be extremely difficult and time-consuming. Luckily, there are a few simple ways anyone can get rid of bedbugs in your mattress without calling an exterminator. First, you’ll have to figure out where the bedbugs are. Despite the name, bedbugs won’t just infest your bed. Most of the time, however, a bedbug infestation starts in the mattress or box spring of your bed. Find where the bedbugs are hiding, and vacuum up as many as possible. Once you’ve thoroughly vacuumed the area, start cleaning. Take all the sheets, pillowcases, and bedding off and wash them in hot water. You may want to wash them several times to be sure that you kill all the bedbugs. If you have white sheets, use bleach to clean them. Then clean your mattress. Steam cleaning is the best way to get your mattress completely clean. Next, try using a natural pesticide to get rid of bedbugs in your mattress. One of the most effective natural pesticides for treating bedbugs is diatomaceous earth. Diatomaceous earth is a powder made of plants. You can find it at most garden stores. Just sprinkle some under your mattress and it starts killing bedbugs right away. If this doesn’t work, essential oils can be a good solution. Sprinkle a little lavender oil in a few key spots, such as around the corners of the bed frame. Lavender oil acts as a repellant that drives bugs away from your mattress. You can also try tea tree oil, which kills bedbugs. Create a solution by mixing a teaspoon or two of tea tree oil with a spray bottle of water. Use this to spray down your mattress, box spring, and bed frame. Another strange trick that sometimes works to get rid of bedbugs involves dryer sheets. Stuff scented dryer sheets under your mattress and in your pillowcases. The strong smell drives the bedbugs away. You may need to purchase a special non-permeable mattress cover. By putting this on your mattress, you ensure that the bedbugs can’t get out and infest the rest of your home. This also keeps more bedbugs from getting into your mattress. Eventually, the bedbugs that are in your mattress will starve and die. This can take a long time, but if you’re facing a bedbug infestation you should still get a non-permeable mattress cover to help keep your mattress safe. If natural methods don’t work, you’ll likely have to call an exterminator. An exterminator will be able to assess the severity of your bedbug infestation and treat it accordingly. They will probably use chemical pesticides to kill the bedbugs in your mattress and drive away any bedbugs looking to turn your mattress into their home. Calling an exterminator can be expensive, and they may have to make more than one visit to your home to get rid of the infestation completely, so this is a last resort.